The IEEE International Conference on Multimedia Big Data (BigMM), jointly sponsored by the IEEE-TCMC (Technical Committee on Multimedia Computing) and IEEE-TCSEM (Technical Committee on Semantic Computing), is a world’s premier forum of leading scholars in the highly active multimedia big data research, development and applications. The fifth BigMM conference hosted by the National University of Singapore (NUS), will be held at NUSS Guild House in NUS, Singapore from Septemeber 11 to 13 in 2019. Regular Papers – Authors are invited to submit a regular paper (two-column 8 pages maximum) according to the guidelines available on the BigMM 2019 website. Short Papers – Authors are invited to submit a regular paper (two-column 4 pages maximum) according to the guidelines available on the BigMM 2019 website. Demonstration Papers – Authors are invited to submit a demonstration paper (two-column 2 pages maximum) according to the guidelines available on the BigMM 2019 website. Workshops Papers – Authors are invited to submit a workshop paper (two-column 8 pages maximum) according to the guidelines available on the workshop websites. These will focus on specific topics of the main conference. 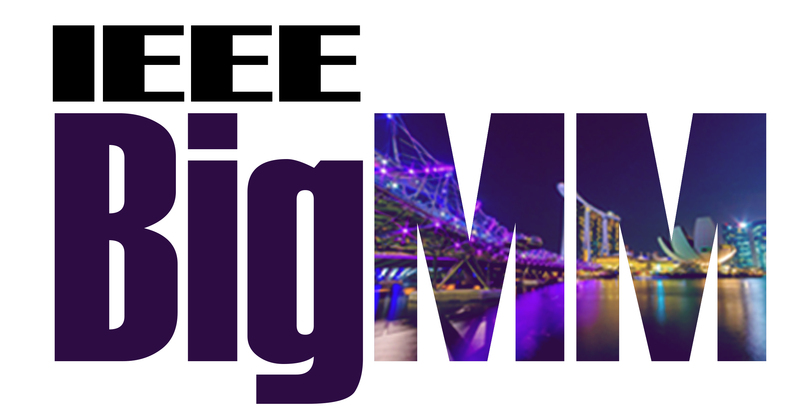 More information is available on the BigMM 2019 website. BigMM 2019 will showcase high quality oral and poster presentations as well as demonstration sessions. The review will be double blind and at least three reviewers are required. Best papers and demonstrations will be awarded at the conference. All papers in this conference will be included in the IEEExplore and indexed by EI.